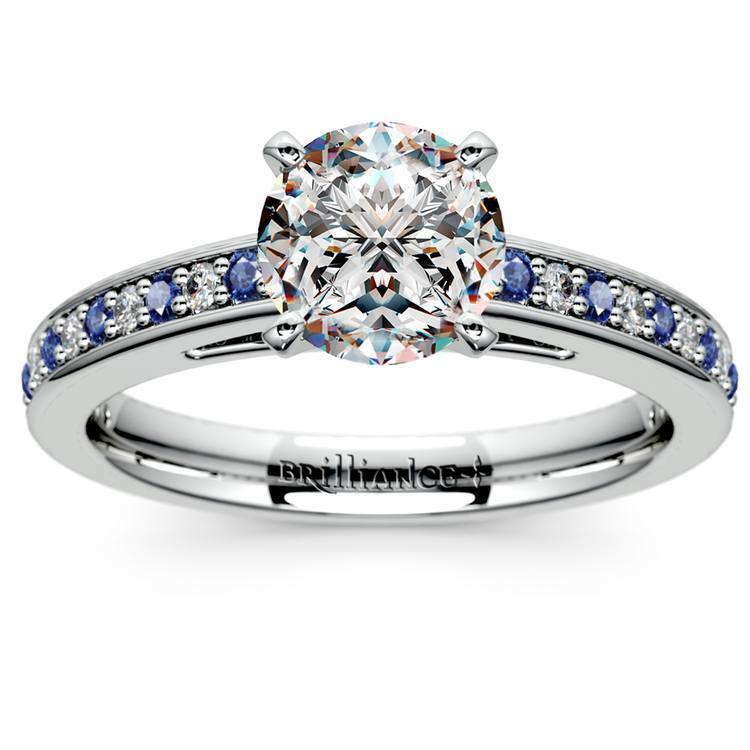 The Cathedral Diamond & Sapphire Gemstone Ring in Platinum seamlessly marries the freshness of sapphire with the classic beauty of diamonds. Pave set on a gorgeous and durable platinum band, twelve round cut sapphires and twelve round cut diamonds sparkle and gleam side by side. Your choice of center diamond is prong set on the band, its presence beautifully emphasized by the smaller diamonds and gemstones flanking it.